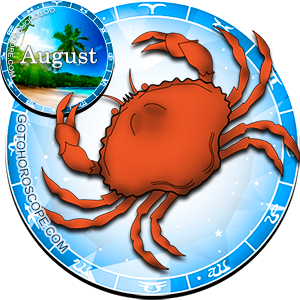 August 2013 Horoscope Cancer, free Monthly Horoscope for August 2013 and Cancer Astrology Forecast for the month ahead. 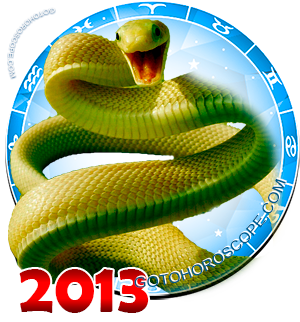 For the Cancer sign, August 2013 will be an extremely ambiguous time. This is primarily due to the fact that the Moon, the celestial ruler of the Cancer sign, will also appear as the direct enemy of the Sun and during this month will show a special positivity towards the inhabitants of the Earth. This opposed position of the celestial bodies will have a negative impact on the Cancer sign, and this is due to the fact that Cancer will be deprived from the patronage of one of the most powerful planets in the solar system - the Moon. This means that Saturn and Mars will surely take advantage of the situation and will fully get engaged by bringing confusion and chaos in all aspects of Cancer's life. On the other hand, in August Neptune, the celestial leader of the Cancer sign, will provide the representatives of this zodiac sign with an absolute protection from Mercury, which will have a negative impact on almost all inhabitants of the Earth. And Jupiter, the one responsible for the blossoming of Cancer's strength, will not forget about your sign and will try to help you in every way possible, especially in your love life. While at the same time, Uranus, the direct enemy of Jupiter, will try to somehow harm the Cancer sign and will focus its maximum efforts on the business aspect, which, by the way, will also be significantly affect by Mars. Thus, when it comes to the business aspect Cancer will be better off if he wasn't trying to establish something or take on new, even promising projects in August 2013. Of course, it is necessary to try and implement them, but, at the same time, one must be alert to the possibility that the result will not be as far out as expected. As a result, your superiors can be seriously disappointed in you. There is even the possibility of a serious issue, expressed, for example, as a dismissal. 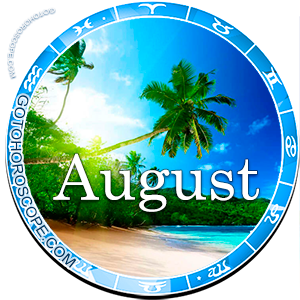 In August Mars's influence will be so strong that Cancer will really need to optimize all of its internal reserves to maintain at least some stability in the workplace. Be cautious to the slightest changes in your surrounding "atmosphere", catch the positive and negative "impulses" coming from your colleagues and your superiors, and on the basis of the received information promptly tune in the behavior tactics. Do not even think about any kind of harmony, currently you do not have the support of the celestial bodies. The good thing is that Mercury will not be able to add to your problems, thank you, thanks to the "celestial leader". So, as they say, get prepared for the worst, while hoping for the best. As cliche as this phrase sounds, it will turn out to be very relevant for you during this time. On the other hand, Jupiter will give you a lot of variety in your personal life, and, most likely, a truly memorable experience. Neither Uranus nor, especially, Mars and Saturn will not be able to ruin your plans. Uranus - because its active negative effusions are completely blocked by Jupiter. Mars - because it will focus its attention on the business aspect. Saturn - because its position on the celestial belt, starting with the middle of the month, will be in opposition with Neptune and Moon. In the end, in August 2013 only one planet will be influencing Cancer's love life. And this planet will be Jupiter, as it was aforementioned. This planet will be positively inclined.. Prepare for the appearance of new people in your life, who will most likely become very become reliable friends. Also, your relationships with loved ones will be unknowingly reviewed, and towards the middle of the month many things may change in this direction. Perhaps somewhere nearby you will find your new soul mate that will embody all the things you were lacking for years. And maybe, you will find a true friend, the kind that appears only once in a life time.